Dear Customer: Welcome to the Hubble Shop! 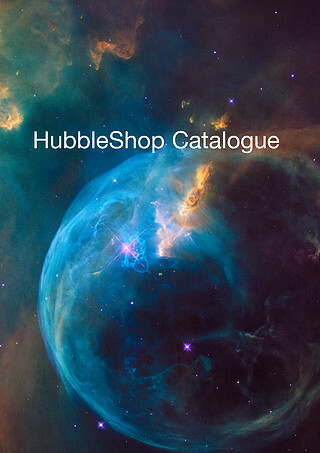 The Hubble Shop is non-profit webshop. We keep the prices low by only covering the costs we have for production and handling. You can browse our products directly online by visiting the product categories to the left, or you can download our shop catalogue here. Hubble Shop is safe: You can shop around and put as many items in your cart as you want without any risk. Only after entering your credit card info and clicking “Place your order” the purchase is final. Prices in the Hubble Shop are costs prices (i.e. the prices only cover the costs we have for production and handling). Shipping costs will be added to the price when you click “Proceed to Checkout”, just before you pay. Minimum order quantity is 2.99 € per purchase. Please note that you may be subject to import duties and taxes, which are levied once a shipment reaches your country. All printed material can be downloaded as PDF files for free from this site. All material except merchandise and books can also be picked up in person for free (one copy) at ESA/Hubble at the ESO Headquarters in Garching, Germany. Large discount by wholesale bulk orders for resellers is available. Please place your bulk order via an email to epoddist@eso.org, not via the Hubble shop.